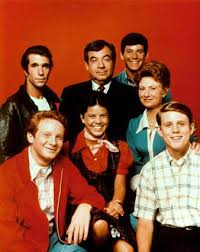 1974 Happy Days first time on TV | What happened in…. This entry was posted in 1974 and tagged Erin Moran, fonzie, Garry Marshall, happy days, Marion Ross, Richie Cunningham, Ron Howard, Tom Bosley by Mike Hermes. Bookmark the permalink.